After months of speculation, Blizzard has now officially announced StarCraft: Remastered, an HD update of the original game and its expansion, Brood War. They’re going to make SC1 and BW totally free, while the Remaster will be a paid upgrade. A remaster of a classic Blizzard game seems like the sort of thing I’d be over the moon about, but to be honest… well, as Randy Jackson would say, I’m not feelin’ it, dawg. The trouble with updating old games is that there’s such a fine line between changing too much, and not changing enough, and where that line sits can be quite subjective. For me, this remaster isn’t changing enough. It’s basically the original game with slightly tweaked graphics. That will undoubtedly please the purists, but to be honest I don’t really want to be dealing with clunky UI, infuriatingly brain-dead pathfinding, and graphics that may be better than the original but still look about fifteen years out of date. Ultimately, what kills my enthusiasm more than anything is Mass Recall. The main thing I’d be interested in when it comes to a remake is the campaign, and Mass Recall already provides all of the story content of the original with fully modernized graphics and gameplay. And it’s free. It’s giving me more while costing me nothing, whereas the official remaster is offering less for a price. The main thing the official offering has over Mass Recall is that it includes competitive play, but I’m not much for PvP, so that doesn’t really matter to me. I am a little intrigued by the animated interludes they’re talking about — I don’t know if that means the briefings, the cinematics, or both — as those sound pretty cool, but I don’t think it’s worth dropping cash for. I’m sure there are people who will enjoy this remaster, but it seems like it’s going to be a pretty small niche. I’m not really that disappointed because the remaster I want already exists in the form of Mass Recall. I am, however, concerned about the precedent this sets for other hypothetical remasters of old Blizzard games, which don’t already exist in the form of mods (not good ones, anyway). I’d love to see modernized versions of a lot of older Blizzard titles, but if they’re all just going to be minor graphical face-lifts and nothing else, I’m not sure I’d want to bother. Warcraft III could maybe work with nothing but mild visual tweaks, but the others would need more changes to really be worth playing in this day and age. I’m not saying I want them totally redone from scratch, but at least fix some of the more broken old school mechanics. 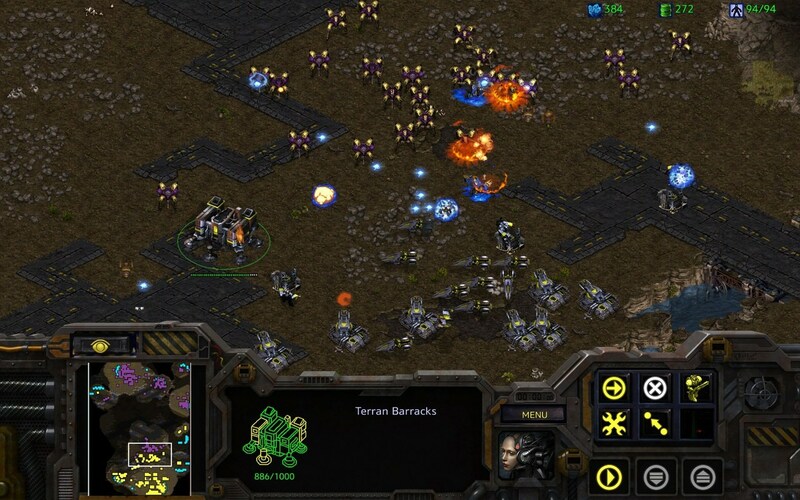 This entry was posted in Games and tagged pointless nostalgia, sci-fi, Starcraft by Tyler F.M. Edwards. Bookmark the permalink.